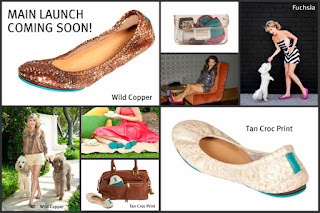 Ergo...my musings by Vivian: Tieks by Gavrieli – My Latest Footwear Obsession! When I’m in need of mindless pleasure I can while away hours shopping for shoes online. Until now my favorite purveyors of fine footwear included Nordstrom.com, Zappos.com, Shoes.com, Amazon.com, Shoebuy.com, and 6pm.com. In my youth I rarely gave consideration to comfort, style reigned supreme. I used to quote Billy Crystal as Fernando on “Saturday Night Live” who always espoused that it is “better to look good than to feel good”. As with many shoe aficionados, the beauty of the shoes meant more than comfort. Ultimately, the myriad injuries to my right ankle over the years caused chronic instability, which meant no more stilettos. And commuting to my workplace in the city necessitated the search for the perfect commuter shoe. While many women taking public transport in the District of Columbia sport athletic shoes, I’ve been vociferously against that option as the ultimate fashion faux pas. Since I’ve never thought a ballet flat flattered my feet nor had I ever worn one that did not lacerate my heel, rub the area of the vamp raw or cause blisters, I resorted to Euro flats which I found ugly but comfortable. Then a few weeks ago, on a day I’d driven to Washington, I wore my gorgeous Hugo Boss alligator ankle boots. I thought they’d be fine to attend a meeting and an afternoon outing to the National Portrait Gallery. But – I was so wrong. By 3:00pm my feet were in such agony I decided I would have to find some of the foldable shoes that I’d read about that I could tuck into my handbag for those foot pain crises. Most of the options I’d seen reviewed received terrible ratings for comfort, durability, and fit. But as I was scanning Face Book postings that evening, I saw an ad for Tieks by Gavrieli offering a 20% discount for “liking” them on Face Book. The ad said that Tieks were one of Oprah’s favorite things. Not being an Oprah fan, that did not convince me to “like” Tieks on Face Book. However, I Googled the brand and read reviews; I went to the website and found myself impressed. The shoes were described as “the most versatile designer flats in the world. Made of the finest Italian leathers and designed to fold and fit in one's purse. 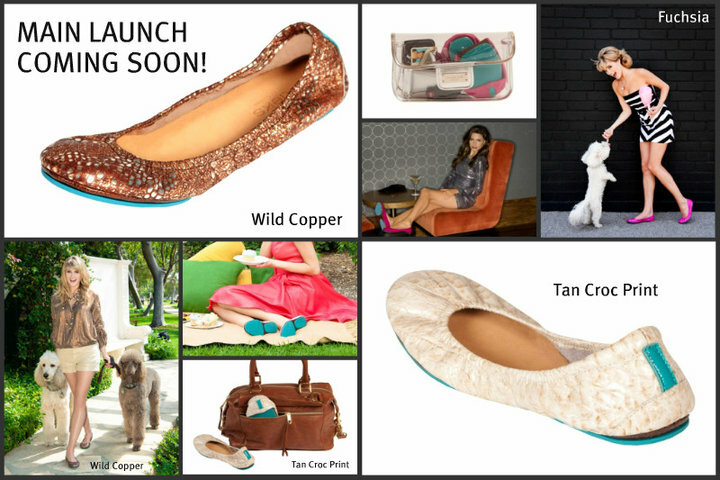 Wearable all day, every day.” The flats come in an array of colors including snake prints, metallic, and vegan options. The soles are cushioned. The shoes come with a small pouch to keep the folded flats in your purse, clips to hold a folded up trouser hem, and a small bag to hold your heels. The sole has a thick padding to cushion one’s step. The leather uppers are extremely soft. The shoes are true to size and conform to one’s foot. I was hooked. I had to have a pair. But, the shoes start at a pricey $165 and increase to $295 for the gorgeously desirable snakeskin prints. 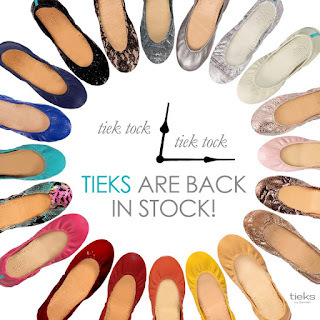 So I “liked” Tieks on Face Book, received my coupon immediately via email, and ordered a pair in platinum metallic. They arrived within a few days. The package was gorgeous. The shoes were packed in a turquoise box reminiscent of Tiffany’s complete with a bow and a handwritten note from the company. I wanted to savor the experience of opening the box. I felt like Cinderella when I slipped those ballet slippers on my feet. They fit like a glove. I wore them for two days in a row constantly. The padding on the sole is excellent. The heel did not rub. The shoes looked fabulous on my feet, slimming and elongating – unlike other ballet flats I’ve tried. The leather is as soft as butter. The fit was exquisite. I want more. Today, Tieks launched a new color for its Face Book fans – Azure Snake. I want them. I lust for them. My heart races at the sight and thought of them. But, alas, at $295, they are out of my reach – at least until we win the Power Ball on Wednesday! But I am now a convert to the ballet flat. Check them out, like them on Face Book and give them a try.